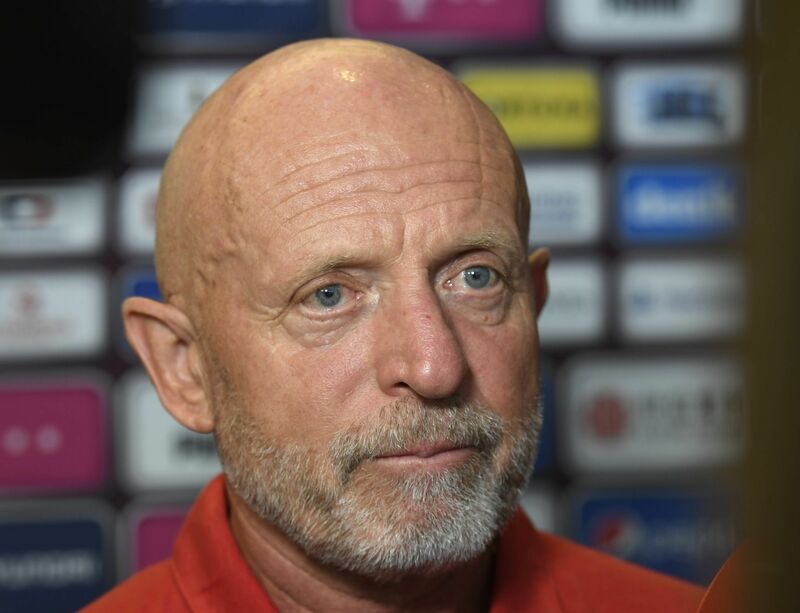 Czech soccer manager Jarolím under fire after poor Nations League start; javelin pair represent Europe in Continental Cup; climber Ondra misses out on third world championships gold; and Czech tennis pairing fail in Grand Slam hat trick bid. Czech Republic - Ukraine, photo: ČTK/Luděk Peřina The Czech national soccer team manager Karel Jarolím is under considerable pressure, with speculation mounting that the 62-year-old may soon get the elbow. The Czech Football Association were critical of the coach when he failed to get the country to the World Cup in Russia. Now Jarolím has a lot of work to do if his charges are to achieve anything in the new Nations League. The Czechs took the lead after only four minutes in their first game in the competition, at home against Ukraine on Thursday. However, they conceded at the close of the first half and again, thanks to a mix-up at the back, on the 90th minute to eventually lose 2:1. Karel Jarolím, photo: ČTK/Michal Krumphanzl After the match Karel Jarolím said he wished to continue in the job – and struck a philosophical note. 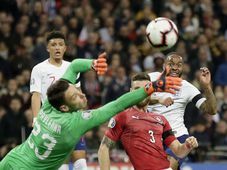 The Czechs face the third team in their Nations League group, neighbours Slovakia, away on October 13 before another clash with Ukraine three days later. Way before that they face Russia in a friendly in Rostov-on-Don on Monday night, after the recording of our show. Karel Jarolím has promised to ring the changes for that clash. Jakub Vadlejch, photo: ČTK/Jaroslav Ožana Czech javelin throwers Jakub Vadlejch and Nikola Ogrodníková represented Europe at IAAF Continental Cup in Ostrava at the weekend. Vadlejch placed fifth and Ogrodníková finished seventh but the pair came second overall with the European team behind winners the USA. The phenomenal Czech climber Adam Ondra has failed to make it a hat trick of gold medals at the Climbing World Championships. Ondra finished second to Austria’s Jakob Schubert in Innsbruck to take silver this time out. 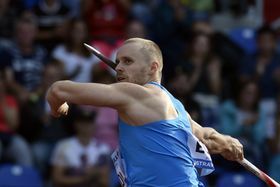 Another Czech, Jakub Konečný, came sixth in Sunday’s final. The sport will be included in the Olympic Games for the first time in Tokyo in 2020. Kateřina Siniaková, photo: ČTK/AP/Kevin Hagen The Czech pair Kateřina Siniaková and Barbora Krejčíková also missed out on a glorious hat trick. 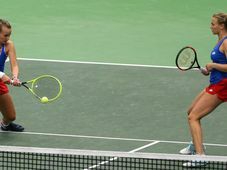 After the French Open and Wimbledon the pair were hoping for further success at the last tennis Grand Slam of the year, the US Open. However, they were unable to get by Ashleigh Barty and Coco Vandewegh at the semi-final stage at Flushing Meadows.